Sometimes, in derby, in the heat of the moment, we say bad words. Sometimes to our opponents, sometimes to our teammates, and sometimes, even sometimes, to the refs. And sometimes we feel bad that we lost control of our mouths like that. But what if it wasn’t our fault that we had momentary trucker mouth? What if it was the fault OF SCIENCE! Of late, I’ve been listening to an audiobook called Drop Dead Healthy by A.J. Jacobs, it’s awesome, go read it. In the book, he talks about a study wherein cursing increases pain tolerance. This is my kind of study. Obviously, my mind went straight to all of the cursing that happens in roller derby, and that it just might be that science is making us profane. A study was conducted by Richard Stephens and Claudia Umland, where college students were recruited to put their hands into buckets of ice-cold water. Some were allowed to repeat a curse word of their choice, one that they might use if they hit their thumb with a hammer, others were only permitted to say a non-curse word. 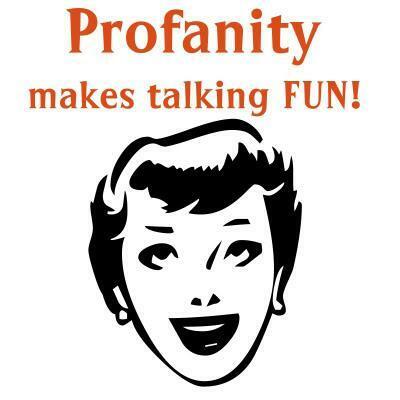 73% of those who were permitted profanity were able to withstand the stimulus longer (31 full seconds!) than those who weren’t. They had the groups switch words, the results stayed the same – cursers were better able to withstand the pain and their perception of the pain intensity was lowered. These results replicated the results of a study that Stephens had conducted in 2009. “Swearing increases your pain tolerance,” says Dr. Stephens, Senior Lecturer in Psychology at Keele University and lead author of the study. Uttering expletives engages the endogenous opioid mechanisms, the brain’s natural pain-relieving chemicals. This process is part of the body’s “fight or flight” response. Now here’s the thing; in the study, if you were a regular potty-mouth, you didn’t get the same benefits from being allowed to curse during the study. Just like any other opioid, you can build up a tolerance. Those who swore just few times a day doubled the amount of time they could withstand the ice water when allowed to swear. On the other hand, those with the highest levels of everyday swearing (max. 60 swear words per day), did not show any benefit when permitted to curse. Overuse “blunts [swear words] of their power when you do need them. You should save them for just the right occasions.” says Pinker. Whether on the track, or being cut-off in traffic, choose those choice words sparingly. So, if you’re having a tough jam, and you’ve just gotten taken out by an opposing blocker’s massive strike – let those f-bombs fly! Your brain will release the chemicals you need to keep at it, and your tolerance for the pain will be momentarily improved. 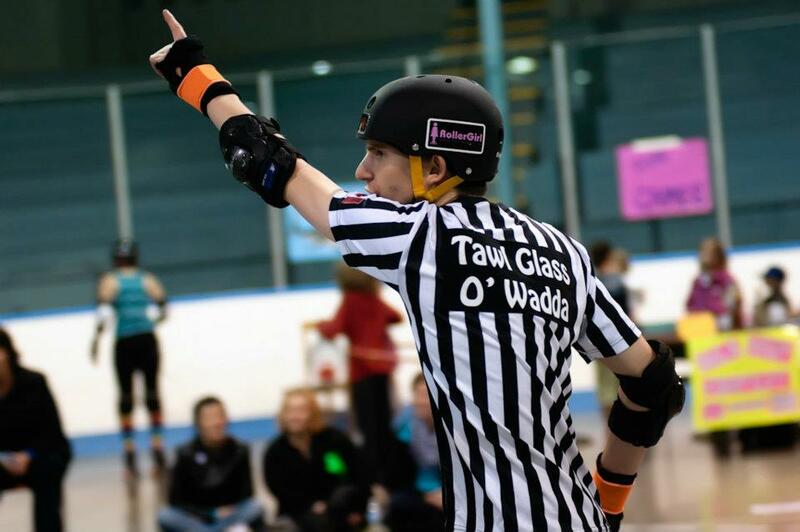 This study is awesome news for derby skaters – not only does swearing bulk up our pain tolerance in the heat of the game, we can’t even be blamed for doing it because we are physiologically built to do so. Take that, ref! No two-minute penalty for me! 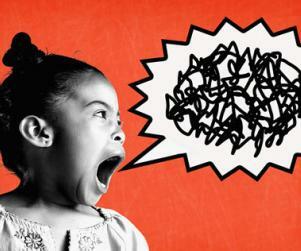 Want to learn more about why we swear?